The Quintessence of Tonkin, one of Vietnam’s must-see cultural spectacle is deep experiences of live performances by locals, traditional Vietnamese music, water-light show, and daily stories. The show will bring the audience back to a pristine time, living in the old country of Vietnam, feeling the sacred atmosphere and the cultural crystallization technology. 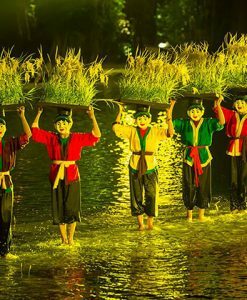 Enjoy the show and explore the Northern culture and tradition during your travel to Hanoi. 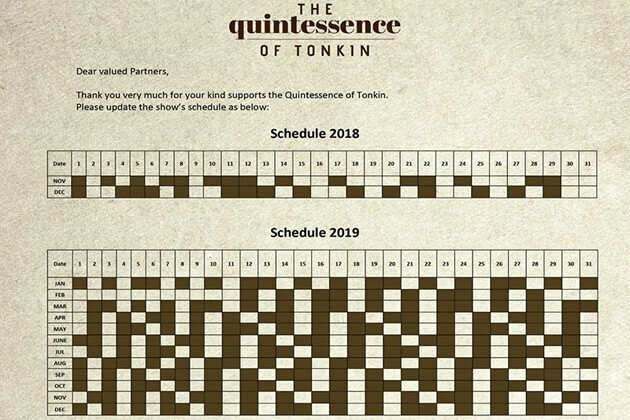 The Quintessence of Tonkin is a water puppetry show which is first launched in 2017. 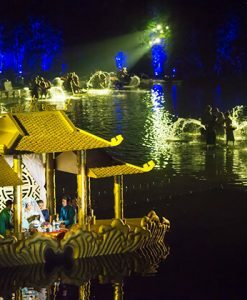 Unlike the Water Puppet Show, it is a brand new cultural combination of the water puppet show with live-action and performers. 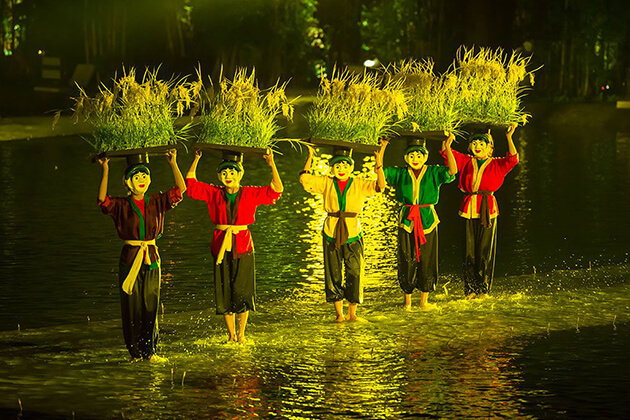 Born from an artistic vision to tell the story of the cultural highlights of Northern Vietnam, the show skillfully blends real-life performers, amazing water puppetry, a delightful light show, an evocative soundtrack and the mountains of Chua Thay into a wonderful performance. It is a rustic, artistic demonstration of Vietnamese culture: Poetry, Buddhism, Nostalgia, Music & Painting, Joy & Festival. Drawing on the daily life and activities of the locals of the northern delta, the audience witnesses the story of monk Tu Dao Hanh and his journey to Thang Long Royal Palace. 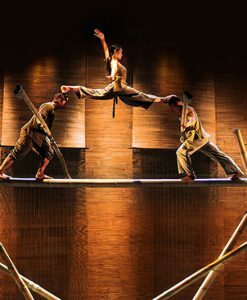 Additionally, the story showcases the talents of the Vietnamese people who excel in knowledge and martial arts. 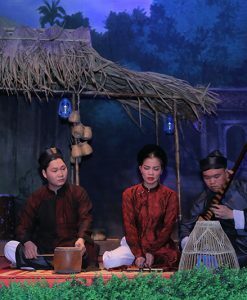 A traditional village is the setting, traditional instruments, and vocal arts including “ca trù”, “Quan họ”, “chầu văn”. 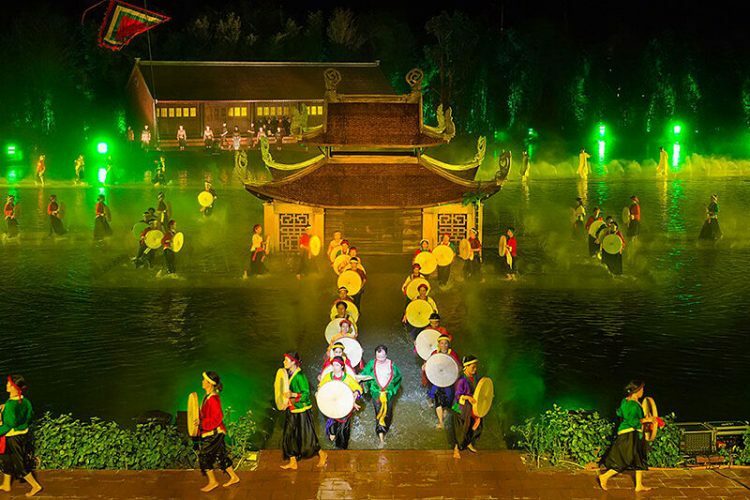 The Quintessence of Tonkin is an outdoor spectacle that showcases traditional elements of Vietnamese culture in a contemporary and innovative way. 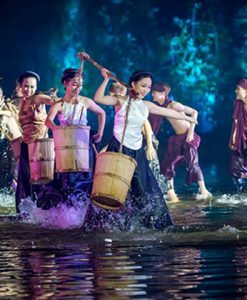 The show will deliver the audience a unique and memorable discovery of the Red River Delta – the beating heart of northern Vietnam through six aspects of the cultural Quintessence of Tonkin Show: Poetry, Buddhism, Nostalgia, Music & Painting, Joy & Festivals. 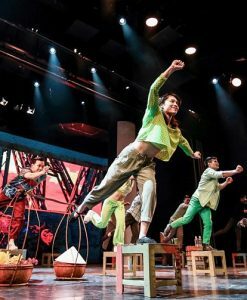 Inspired by the poetry of Nguyen Khuyen, the folk song “Tat nuoc dau dinh” and the lullaby of Tokin, the opening scene of the Quintessence of Tonkin spotlights the rural life in Vietnam in the old days. The audience will witness the scene of local girls chatting and laughing near the lotus pond while local boys jest and joke around them, trying to get their attention. The villagers plant rice in the nearby fields and tend their crops and livestock. In the river, men fish pulls their silvery catches out of the water onto the banks. A mother gently sings a lullaby to her baby, the sounds echoing purely and clearly cross the village. The next scene focuses on the story of the monk Tu Dao Hanh who established the Thay Pagoda. He was also a medic and mystic healing the impoverished sick without asking for any payments in return. He taught the local residents to cultivation and the art of water puppetry. In this scene, he appears near the lotus garden, with graceful dragonflies gliding around him accompanied by laser lights. Quan Ho folk song “Se chi luon kim” is played by the smooth harmony. In this scene, artists bring their cloth bags and bamboo tents to the Thang Long Citadel for their mandarin examination. It is a difficult exam, however, those who are successful, a promising future awaits. The music is rousing ad the lighting vibrant to underscore the significance of history and tradition. This scene draws inspiration from the poetry of female artist Ho Xuan Huong, four screens depicting young women appear on the darkened surface of the lake. The images on the water are projected simultaneously onto the stage and are reminiscent of Tokin folk painting from the village. Each artist plays a different traditional Vietnamese musical instruments. While the music wafts over spectators, beautiful fairies fly and dance, gracefully skimming the surface of the lake. This scene depicts farmers working in the rice paddies – an image that is essential to Vietnam – and is closely associated with wet rice cultivation. The bumper crop is harvested by hard-working farmers, with laser lights and ancient folk songs together with the performers to demonstrate accomplishment. In this last scene, a festival with games and activities is the focus of the performers. 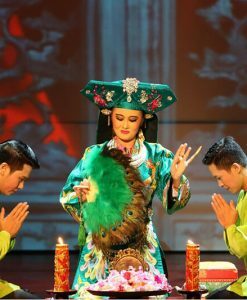 From the “challenge and response” singing competition of Quan Ho folk songs to traditional games, from the customs of Song Loan to the Song Dinh procession, all are vividly and convincingly portrayed. All the actors and actresses gather and parade toward the Thay Mountain. At that time, “Nguoi oi nguoi o dung ve” is sung as a farewell to the audience from the performers. 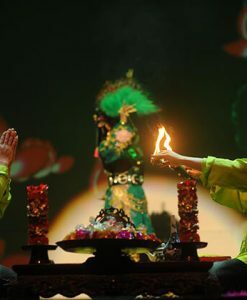 With the celebration of the history of northern Vietnam and the preservation of traditional water puppetry at its heart, The Quintessence of Tokin is also an emotive expression of the ancient unique between religion and monarchy. The show is romantic, poetic and emotional bringing a breath of fresh air and stirring excitement to Vietnamese entertainment. 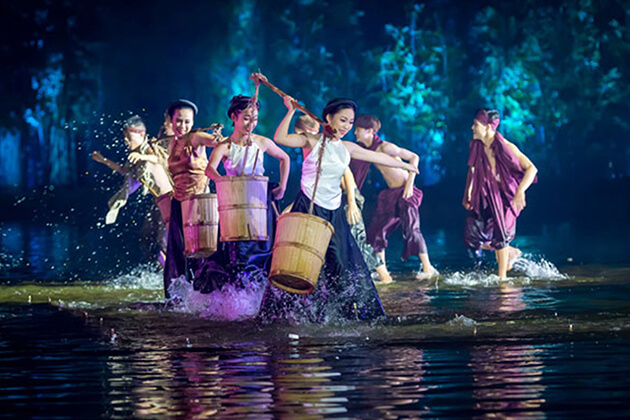 The show is entirely performed on water, and local farmers from Sai Son Commune in the Quoc Oai area were trained for two years to bring the extravaganza to life. 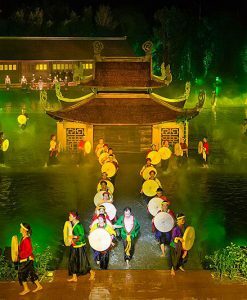 The setting for this lavish production includes a replica of the famous Thuy Dinh pavilion for the Thay Pagoda complex, complete with lake and bamboo forest. With its inspired application of modern entertainment technology, no expense has been spared to bring this creative vision to life. 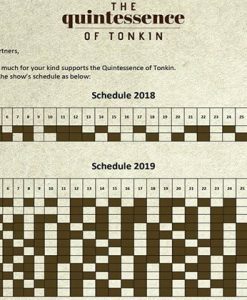 The Quintessence of Tonkin Show consists of two groups: the farmers and their families from the local village, and junior and senior dance students from Vietnam Dance College. The farmers are passionate performers having an inherent artistic ability that translates into an authentic artistic expression. 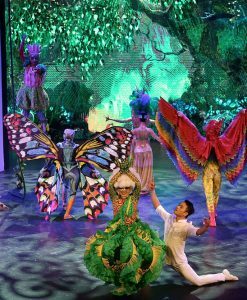 Students from Vietnam Dance College brings youth, vitality, and vibrancy to the show. 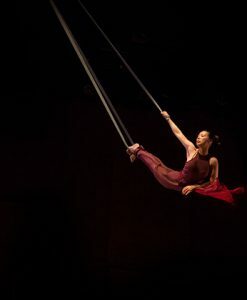 They together deliver the audience a compelling visual performance. The Quintessence of Tonkin is located in Quoc Oai district, just over 20km west of Hanoi. In the peaceful countryside, with the Thay Mountain as the backdrop, the spectacle draws inspiration from the Thay Pagoda in nearby Sai Son village. This stage is large enough for all 250 performers at once is permanently submerged under 10cm water. 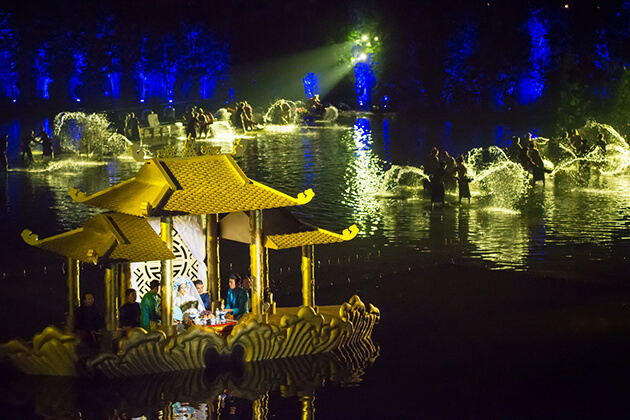 This allows for a unique theatrical display and provides an unusual canvas for Vietnam’s more striking cultural treasures, including water puppetry and dragon boat racing, to be creatively portrayed.